Do you like to write? Do you dream of seeing a book with your name on the cover? Do you just want to write great stories that people will enjoy reading? 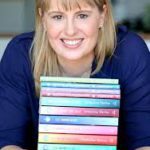 A series of practical exercises will give budding writers opportunities to explore style, voice and other key elements of writing as well demystifying the publishing process. Cost: $50/$30 concession. Booking is on the right hand side of this page. The booking plug-in can be a bit slow so it can take up to a few minutes to process, please be patient. If you are still having trouble call 8677 4815 or email admin@westwords.com.au and we can help you. 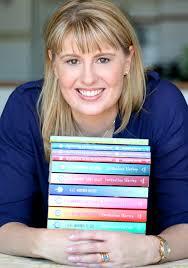 Jacqueline Harvey is the author of the Alice-Miranda and Clementine Rose series. Her first picture book, The Sound of the Sea, was awarded Honour Book in the 2006 CBC Awards.